The following story was written by Quantum Healing Hypnosis Practitioner, Jeroen de Wit of Los Angeles, CA. In a hypnotic regression using a method pioneered by Dolores Cannon, Jeroen facilitated the past life regression for the mother of the child who was claiming to remember life as Lou. Turns out, she was his mother in that lifetime, too. Some fascinating details of the Gehrig family are discovered during the hypnotic exploration. I recently had a client whom I’ll call Cindy. She came to me wanting to do a QHHT session to understand her toddler son better: He had been talking to her about his last lifetime when he was a tall baseball player named Lou Gehrig. The son started playing baseball in this lifetime as soon as he could hold a bat and apparently exhibited specific traits in his movements when hitting, that were similar to Lou Gehrig’s movements. Cindy had no frame of reference for her son’s stories, as she hadn’t given much thought to past lives. This also wasn’t part of her upbringing and religious background, so when she started researching the things her son was telling her and finding out that the details he provided matched the recorded history of Lou Gehrig’s life she realized there was something more at play than could be explained by a vivid imagination. Her son had told her that she was his mom in his past life as well. During our session under trance she started verbally describing a working class neighborhood with old timer cars and the image developed allowing her to describe her body, home and family in great detail. It became clear she was describing a suburban type neighborhood on the East coast of the United States, in what appeared to be the beginning of the 20th century. When she was describing her family, I asked her if she expresses affection to her son, and to tell me what she calls him when she hugs him, like a nickname. She started saying something that sounded German: “Meine…”, which means ‘My’. She said her son’s name is Luke or Lou, her name is Christina, and her husband’s name is Heinrich. They spoke German at home. When we moved forward to an important day in her past life, she found herself walking across a grass parking lot towards the Yankee stadium with her husband and they were both dressed up. It was the day Lou first started playing for the Yankees. She described her dress, how it was finer cotton than the one she had worn at home, and that she was wearing a hat and fancier shoes than the boot-like shoes she wore at home while doing her housework. She described the feelings a parent would have going to see her son play baseball with the Yankees for the first time and added that she would have liked to see him finish school. “They came and took him, when they saw him play,” referring to the baseball scouts that came to his school in search of young baseball talent. I asked her if they had any snacks during the game, and she described hot nuts, like chestnuts, and when asked if she had anything to drink she answered “Cola.” (Not the ‘coke’, a person of this day and age would respond with.) After the game they went to go eat and drink beer. The next important day in her life described her son’s announcement that he was retiring, as a result of his health. “Something with his nervous system, doctors don’t quite know what it is.” (Lou suffered from ALS, now known as ‘Lou Gehrig’s disease’.) He had married a woman named Eleanor whom Christina didn’t like very much. She also described a falling out Lou had had with his friend, Babe Ruth: Babe had made advances toward Eleanor, and the two friends never reconciled. Later Christina, having survived both her son and her husband, died in the hospital at an old age. Her body was cremated and while she was out of the body I asked her if there was anyone with her, and she saw a dog that she loved. It took her to be reunited with her family. The lesson of that lifetime was learning to let go. It was a tough one, but she learned it. Her Higher Self, (with whom we contact in QHHT sessions to ask for answers and healing) showed her the scene because throughout her life she had always had the feeling that she was missing someone, causing her to feel a void in herself which in turn had caused some other issues. The experience of the affirmation of the bond she shared with her son, that he had come back to be with her, and knowing the cause of the feelings of loss, helped her to heal from this. I enjoyed this session particularly because it described recorded verifiable, somewhat recent events and even though Cindy had researched some of the Gehrig family and Lou’s life, the amount and kind of detail that was experienced by Cindy during her session surpassed what she had found out with research so far. With this new information she took to researching again, and found out even more facts about the family that in turn confirmed what she had experienced in her session. 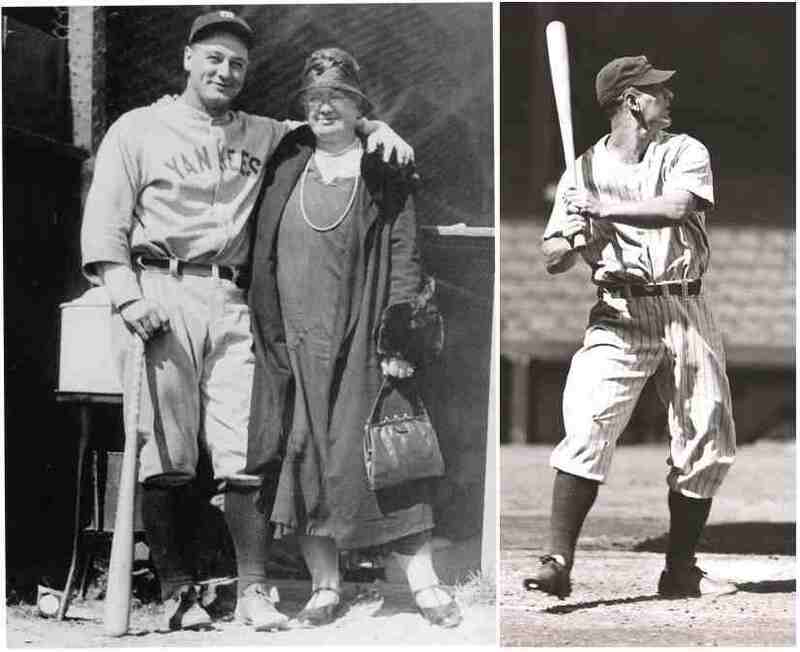 She has talked to her son after the regression and confirmed his statements that she was his mom “Christine” when he was “Lou.” Her son told her then that even though he had liked his wife Eleanor when he was Lou, he didn’t like her now: there had been a fight between them like he had had with Babe Ruth. Subsequent research brought up these images. In the first one Cindy exclaimed, “Those are the shoes!” Then when she found this photograph below she said, “I’m holding a dog!” wondering if it’s the same dog that came to greet her in the afterlife. The dog was given to her by Babe Ruth, who didn’t have his own mother in his life. She also found out that Lou’s dad’s name was Heinrich but went by the name of Henry, because of the anti-German sentiment at the time. Cindy described the QHHT session as the most healing and awakening experience of her life so far. It was my pleasure to assist her and I look forward to reading the book she plans to write about the remembered life of Christina and Lou Gehrig. You can find out more about Dolores Cannon and her body of work, and her classes on QHHT at DoloresCannon.com. You may share this article freely as long as it remains unchanged and all links are intact. Copyright 2014 QHHT Support Forum and Jeroen de Wit. This entry was posted in Quantum Healing Hypnosis Technique, Regression, reincarnation and tagged Dolores Cannon, Jeroen de Wit, Lou Gehrig, QHHT, quantum healing hypnosis. Bookmark the permalink. 4 Responses to Batter Up! 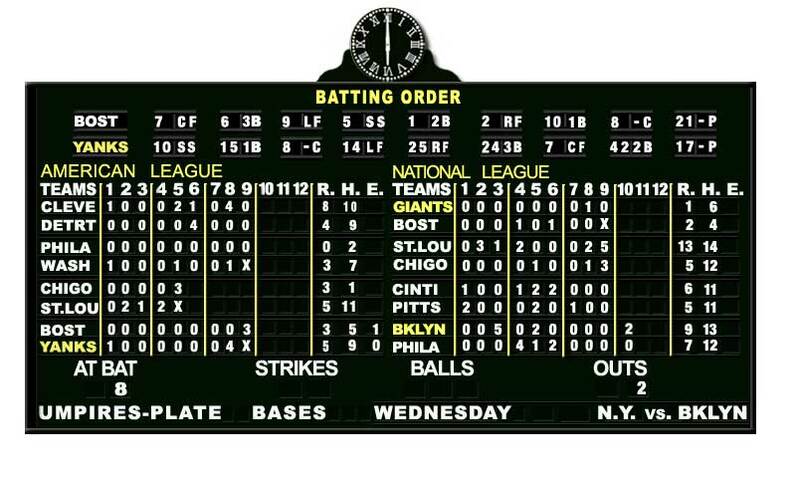 Lou Gehrig Returns to the Plate in 2014? Reblogged this on TAUK Messages. You did such a great job editing and writing Candace! Thanks again. This is a wonderful past life regression that a colleague shared with the permission of his client. Thank you Candace and Jeroen for sharing this with all of us. And special thanks to Delores Cannon, our greatest mentor and teacher!